A pair of governors jumped into the 2020 presidential race, but can they find traction with so many other, better known candidates in the mix? The Senate is positioned to reject President Trump’s national emergency at the border. They will also vote on four nominees this week. The House has a busy week as they will vote on H.R. 1, the Democrats’ good government bill. Meanwhile, the House Judiciary committee is continuing its investigation into Trump, and on Wednesday they will go behind closed doors to listen to Michael Cohen testify. The president will welcome 2018 FCS Division I Football National Champions, the North Dakota Bison, to the White House. Trump also has lunch with Mike Pence and addresses the National Association of Attorneys General. On Wednesday, he will attend the first meeting of the American Workforce Policy Advisory Board meeting. Two days after the 2018 midterm elections, quite a few races are still up in the air, and the final make-up of the U.S. Congress is still in question. AR Intel is breaking down where things stand in the Senate and House races that still have not been called. 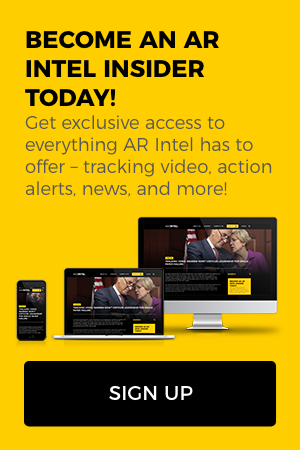 To gain access to that political intelligence, sign up for a free, 7-day trial of AR Intel by subscribing here today! Election night can be overwhelming. Polls close at different times across the country, and in some cases, different times across the same state. With Senate, gubernatorial, House, and state legislative race results coming in simultaneously, it can be difficult to know where to look for early indicators of how the night may go. AR Intel went state by state and highlighted the most important counties to watch in each key Senate state. We’ve broken down the results into two posts – the first below, posted on Monday, and the second will go up Tuesday morning. If you want to learn about the key swing counties and Dem/GOP strongholds in each key Senate state, subscriber to AR Intel today! Sign up for free and enjoy a 7-day trial on us! It’s no surprise that this week, the last one before the midterm elections on November 6, contained a whole slew of new polls focused on Senate races. Early voting is already underway in many states, and pollsters are now asking respondents if they have already voted, in addition to their candidate preferences. Republicans are coming on strong in Indiana and Missouri, while Florida remains as close as ever. Meanwhile, Republicans are within striking distance in Arizona and Montana. Want to see the polls? Take a quick minute and sign up for AR Intel. It’s free to start! The Federal Election Commission’s (FEC) final deadline before Election Day has come and gone, meaning we now know exactly what Senate Democrats in battleground states raised and spent in the third quarter of the year. It also means we know how much they had in the bank at the start of the final month of the campaign. Democrats in Ohio and Missouri took the top spots for each of the fundraising categories in AR Intel’s breakdown. To see the full breakdown, sign up for a free trial of AR Intel today! Rep. Kyrsten Sinema (D-AZ) is running to represent Arizona in the U.S. Senate, but her hopes hit a bit of a snag late last week when a series of videos surfaced in which she criticized her home state repeatedly at public events. The bad news for Sinema began with a poll showing her trailing her Republican opponent, Martha McSally, the first female Air Force pilot to fly in combat. Complicating matters further for Sinema, in addition to videos of her criticizing Arizona, multiple media outlets reported on emails and other written remarks she made in the early 2000s about the Iraq war. Sinema’s time as an anti-war activist likely isn’t sitting well with the more than 550,000 veterans who call Arizona home. To see a full timeline of some of the worst news to come out about Sinema in the past week, sign up for AR Intel today! It’s been another week and another flurry of Senate polls! By far Arizona was the most polled state this week with four newly released polls in the past seven days. The most recent poll shows Republican Martha McSally leading her Democrat opponent. Republicans are also leading in contests in Nevada, North Dakota, Tennessee, and Texas. And keep a close eye on Missouri – the latest poll, conducted by Fox News, shows Republican Josh Hawley tied with Democrat Claire McCaskill. But the RealClearPolitics polling average now favors Hawley, meaning that the contest could be trending in the Republican’s direction. To see the full slate of Senate poll results, sign up for a free 7-day trial of AR Intel today! With exactly five weeks until Election Day, AR Intel is taking now monitoring Senate polls more closely than ever. This week’s round-up is designed to get you up to speed on where the candidate’s stand in some of the tightest Senate races across the country this particular week. While a poll should be viewed as a snapshot in time, trends in polls can often be more telling than the actual results themselves. AR Intel will work to not just report the latest numbers but report on what’s happening in the races that matter most. To view the full round-up, sign up for a free 7-day trial of AR Intel by clicking here. Two of the most hotly contested Senate seats during the 2018 midterms are undeniable in Arizona and Florida. The two states shared a primary date in late August, but the races are wildly different. To read more about the four new polls released this week in the Arizona and Florida Senate races, click here and sign up for a free 7-day trial of AR Intel. While there are 10 Senate Democrats on the ballot this November in states won by Donald Trump in 2016, two western states are held by Republicans and are critical to holding the Senate majority. Polls released in Arizona and Nevada showed tight races in both states. To see the results of those polls and corresponding graphics, sign up for a free trial of AR Intel here!